Korean designer Lie Sang Bong has had a long career with his collection, creating stylish confections inspired by everything from calligraphy to film noir heroines. The designer just opened his first boutique in New York in the Meatpacking District but already has fans in celebrities like Beyonce and Lady Gaga. 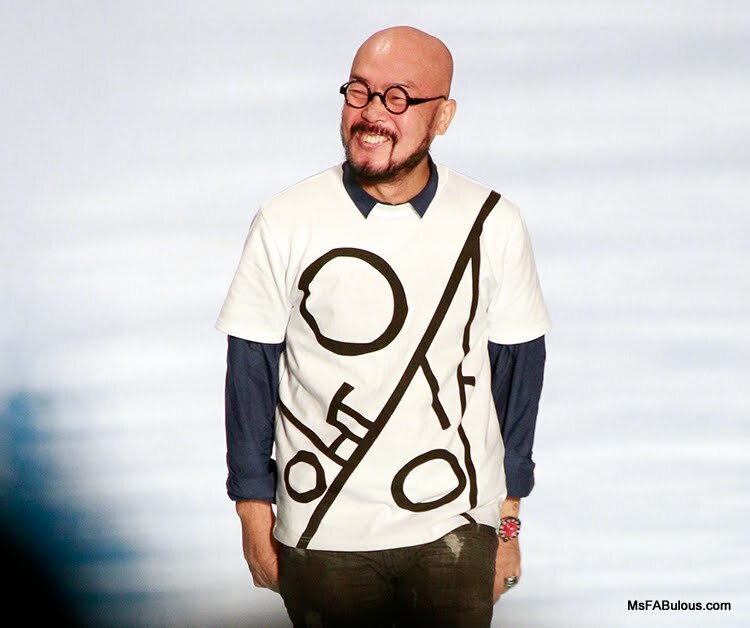 For his spring 2015 collection however, the designer dedicated his Mercedes-Benz Fashion Week show to the young victims of the capsized South Korean ferry the MV Sewol. This was by no means a morbid, sad presentation though. LieSang Bong collaborated with artist Jang Seong Hyo to create a “dream road”. They created a runway of beautiful glass tiles featuring motifs of clouds and florals to represent rebirth and optimism, a “path to the sky”. The fashions themselves were designed to be uplifting. 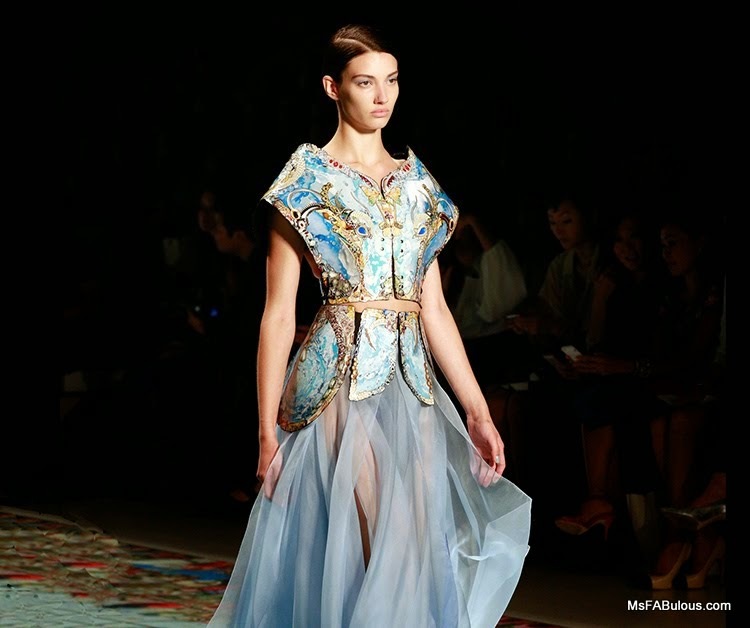 There were hopeful motifs of clouds, butterflies and a magical garden of blooms across form fitting gowns. Lie Sang Bong has always dedicated his design practice in exploring the most innovative techniques like laser cutting and digital printing along with traditional crafts like hand embroidery. Fashion can often be accused of being frivolous or purely commercial. However, there are those designers who approach this craft as an art form. Artist Ai Wei Wei created a spectacular backpack installation in remembrance of the young victims of an earthquake. 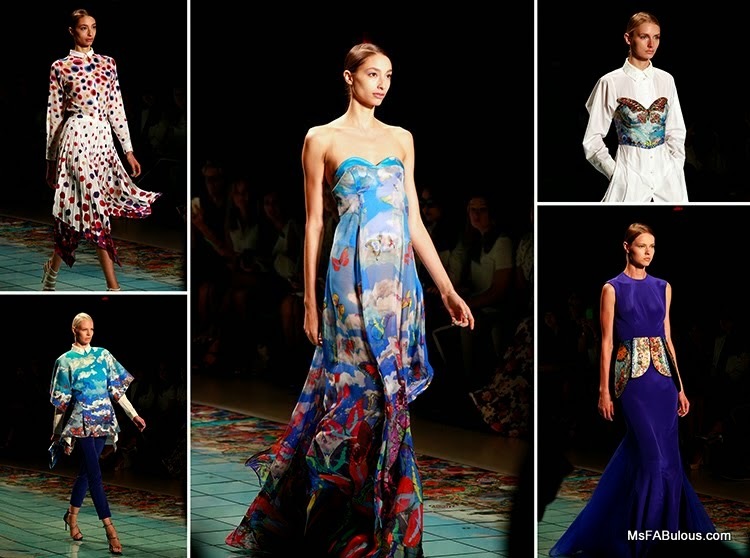 Does a fashion designer who produces a beautiful collection in memory of ferry victims also have artistic merit? Can a pretty dress by Lie Sang Bong also be meaningful? Why does art stop being art when it is purchased and worn on a body? Copyright 2007-2016 - MS. FABULOUS. All Rights Reserved.